In the 1970s, the first urgent care centers opened in the United States. Urgent care centers are recommended for a wide variety of injuries, illnesses, and conditions that are not life-threatening. Urgent care centers are used for sickness that requires immediate attention, and these facilities are a good alternative to the hospital emergency department. 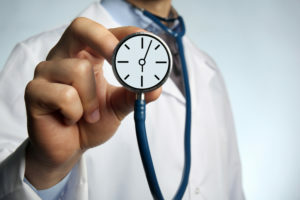 Generally, the wait time in an urgent care clinic is much shorter (30 minutes or less) compared to an emergency room. Urgent care centers are open beyond usual office hours in many suburban, urban, and rural areas. The range of services are safe and efficacious, and they are designed to make the patient more comfortable. Saving time is a big factor for many people who do not want to sit in a hospital for hours. In the United States, 70% of these centers open by 8:00 am and 95% of them close after 9:00 pm. The healthcare services offered at urgent care centers are not as expensive as those of emergency departments. There are no hidden charges, doctors’ fees, bed rents, or staff fees. A recent study regarding emergency room costs show they are 700% more than those at urgent care centers. Medical insurance will cover clinical charges from urgent care centers, and patients do not have to be assigned to the center to get treatment there. Generally, co-payments are low for these services compared to the emergency room. Urgent care centers are located in most small towns, all over big cities, and in rural areas alike. There are approximately 9,300 urgent care centers in the U.S., but this number is growing. Most people must travel 55% longer to reach an emergency department, but an urgent care center is much closer and offers the same types of care. Urgent care services are focused on providing the right care in a safe, effective manner. The doctors and nurses strive to prevent the condition from worsening. In addition, the emergency room is recommended for only serious, life-threatening problems. True medical conditions include serious chest pain, heart attack, unconsciousness, head trauma, major bleeding, serious fractures, and eye trauma. Many walk-in urgent care facilities are popping up in malls, Wal-Marts, and pharmacies. In 2013, there were 30% of centers located in shopping centers or strip malls, 32% in freestanding buildings, and 20% in medical complexes. In addition, the growth of retail clinics and urgent care centers have mostly occurred in Midwestern and Sun Belt states, and in many growing suburban areas. Many doctors and practitioners do not have readily open appointments to accommodate walk-ins. The American Medical Colleges indicate that there is a shortage of physicians, and this is supposed to grow by 2025. One study found that the wait time to see a doctor is 18 days, and 82% of physicians report themselves as being at capacity or overextended. Many patients do not wish to wait for days to be seen and delaying treatment could result in worsening of the condition or a secondary problem.